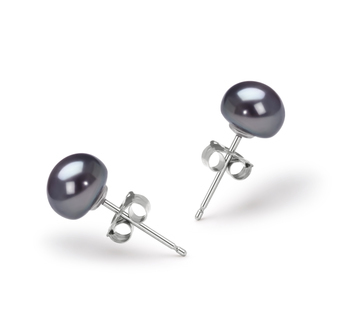 The everlasting and classic Sora Black Tahitian Pearl Pendant brings a wonderful combination of the contrasting and blending of two equaling bold colors. 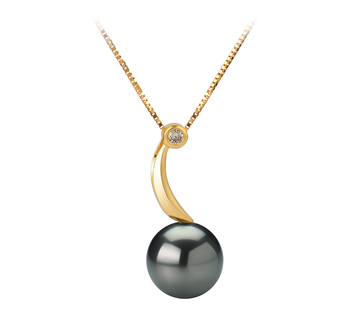 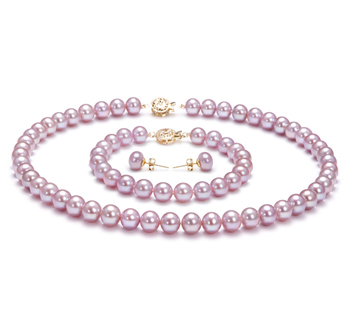 The gentle curve of the diamond accented pendant adds a graceful touch to the large (AAAA) shape of the perfectly round pearl. 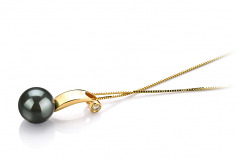 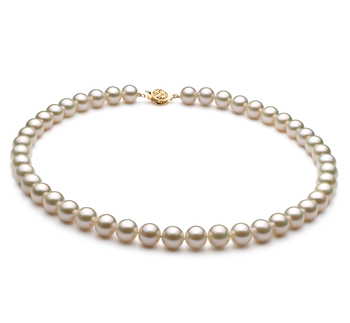 Combining the perfect shape with the (AAAA) luster of the pearl, you have a polished and sensational look to your 17.5 in chain and sparkling elegant black pearl. 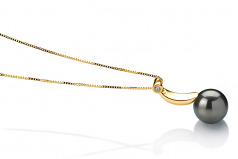 The length of the chain creates the illusion of a dazzling and free-flowing (AAA) quality Black Tahitian pearl as it flows from your neck line into oblivion. 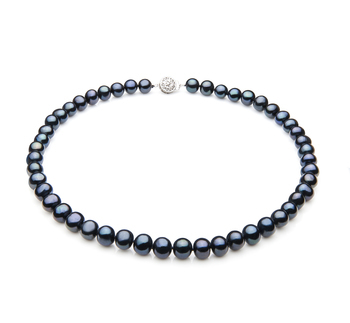 Dress up your wardrobe with the simple addition of a high quality desirable and large Cora Black Tahitian Pearl and pendant necklace. 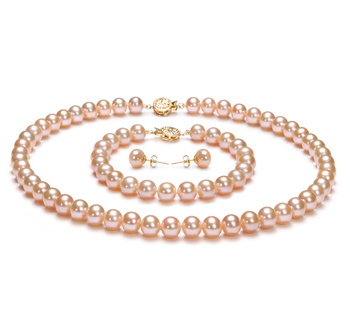 Show only for "Sora Pendant"